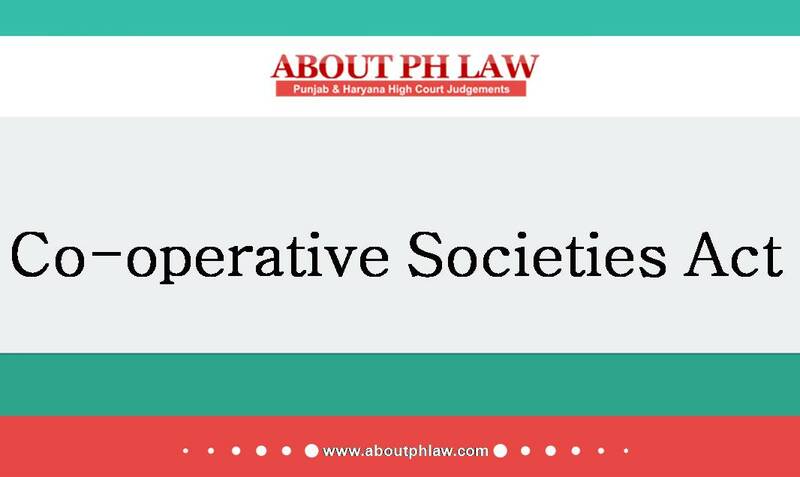 Comments Off on Punjab Cooperative Societies Act, 1961, S.26 – Eligibility for Election -S.26(1) does not – indicate that it make any distinction between a primary society and central society-All that is referred to is that it applies to the cooperative society. Comments Off on Rents Law–A Member of a tenant co-partnership Housing Societies is not a tenant within the meaning of section 5(11) of the Rent Act. Rents Law–The question regarding legality or otherwise of the creation of tenancy right by the Member, which amounts to transfer of interest of a Member in the property of cooperative society, can be decided by raising a dispute before the Co-operative Court. Co-operative Societies—Convening of general body meeting and holding elections despite restrain order are invalid. Comments Off on Co-operative Societies—Convening of general body meeting and holding elections despite restrain order are invalid.